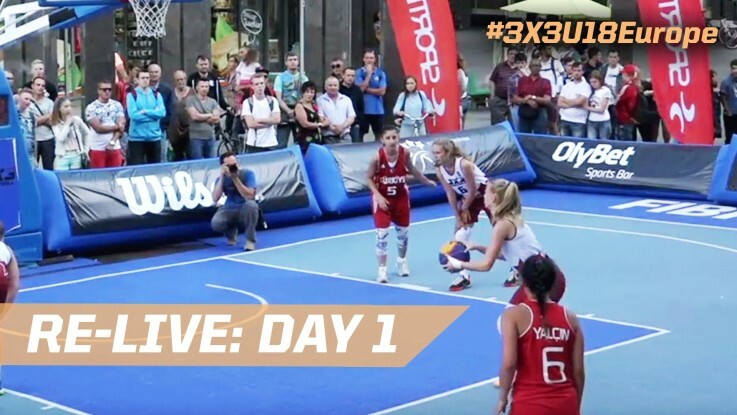 A total of 26 teams, both men and women will compete in Escaldes-Engordany (Andorra) and Poitiers (France) to enter the 3rd edition of the FIBA 3×3 Europe Cup that will take place in Amsterdam on 7-9 July 2017. It’s the second consecutive time France and Andorra are chosen as hosts for the Europe Cup qualifiers. In 2016, Hungary’s women team won the European Championship at Bucharest after qualifying in Andorra. Pool B: Italy, Switzerland, Slovakia, Romania. Only 5 of these countries will qualify: the 4 winners of the quarter-finals and one team who survives the loser’s bracket. Pool D: Russia, Spain, Latvia. The games from France will take place on 23-24 June. The 6 best teams will get a stamped ticket to the games in July. The tickets for the Europe Cup that will take place on 7-9 July in Amsterdam are now available for sale. The games will be held on the Museumsquare. There are tickets available for each day of the competition. You can buy separate tickets for the afternoon session (2 – 4.30 p.m.) and the evening session (6.30 – 9: 45 p.m.). On Sunday, the first session starts at 1 p.m. while the 2nd session starts at 5.30 p.m. Adults will pay 10 euros for Friday and Saturday while children up to the age of 12 pay only 5 euros. The Sunday ticket costs 12.50 euros for adults and children older than 12 years and only 7.50 euros for children under this age. These prices include VAT. On Friday and Saturday, you will see the quarterfinals, while Sunday is reserved for the (semi)finals and the shoot-out contest where both men and women participate. In this contest, men and women don’t play separately. 1 player from each men’s team and 1 player from each women’s team attempt 10 shots from the top of the arc. The 2 men and 2 women with the most points in the shortest amount of time go to the final round. In the final, each of these 4 players attempts 18 shots: 5 from the right wing, 5 from the top of the arc, 5 from the left wing and 3 from the 3×3 logo. The ones from the logo are worth 2 points while the others only 1 point. The player with the most points gets the gold, followed by the second striker who gets silver and a third who earns a bronze medal. The 4th, however, misses the podium.